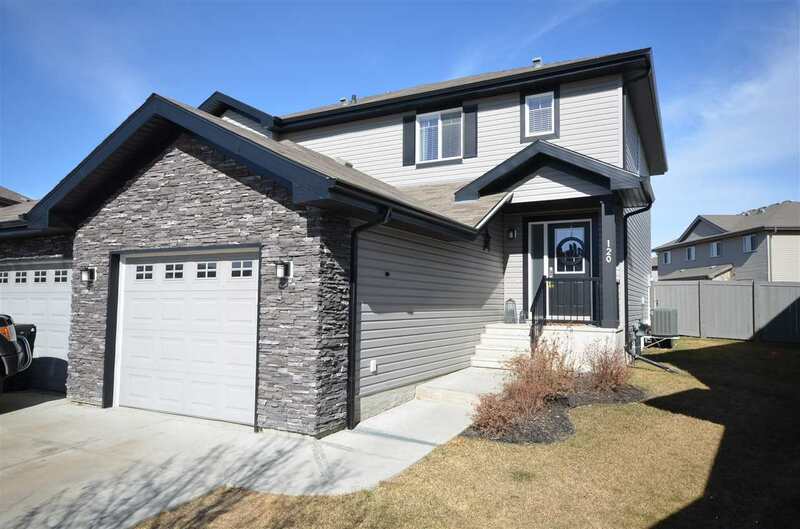 I have listed a new property at 120 Cranston PL in Fort Saskatchewan. This awesome, modern decor home is in mint condition with upgraded cabinets, walk-thru pantry, stainless steel appliances, a gorgeous elongated island with an extended eating bar, pot & pan drawers and granite counters. The beautiful dark hardwood flooring flows through the main level with ceramic tile by the spacious laundry room near the garage entrance. Upstairs offers three large bright bedrooms with the master having a walk-in closet & 4 piece ensuite. This two-storey home also comes equipped with central air conditioner, newer washer & dryer and is decorated with custom Hunter Douglas Blinds. Downstairs is fully finished with an open concept and soft step carpet. Perfect for any great room activities. There is also a rough-in for another bathroom. Outside offers a place to get away from city life and enjoy lounging on your back deck with natural gas BBQ line & a scenic view of mother nature's natural landscape & with multiple walking trails. Fantastic location, amazing condition, perfect price. I have listed a new property at 78 ALLARD WAY in Fort Saskatchewan.